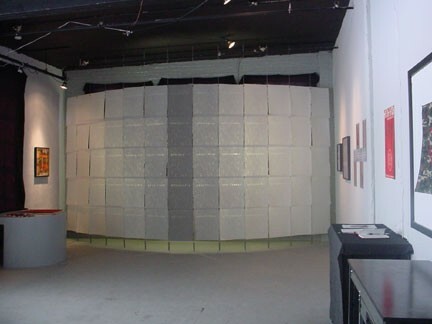 That first exhibit was a political one occurring smack dab in the middle of Bush-era politics. Say what you will about the evils of a two-party system; disenfranchisement can lead to powerful art. The Art of War opened with sixteen participating artists, including Dusty Herbig, a printmaker completing his residency at the University of Minnesota. He set up works in the main gallery space: paintings, prints, and a series of handmade paper sheets illustrating the body count of the war, day by day. On the night of the opening, I printed out the brochures and put up the tags before, frantically and joyfully, unlocking the door at 6:01. So close! To my surprise and delight—people came. The show was one of my favorites, obviously a special event. In addition to Dusty’s work, it featured the artwork of Branko Gulin, meticulously crafted graphite illustrations, paired with the poetry of Leigh Herrick. Pete Driessen graced the walls with a vibrant triptych series, The Overrun of Tibet, which dealt with the cultural genocide of Tibetans including the heartless destruction of Tibetan monasteries. Sarah Whiting shared her photography, an image of children at play with guns, From the Scottish Festival. From out of state we featured the work of Angie Garner, who would go on to become a great help and mentor to me as I did my best to serve artists in this new venture. Altered Esthetics was not yet a nonprofit, but I knew from the beginning I wanted the space to be philanthropically focused. 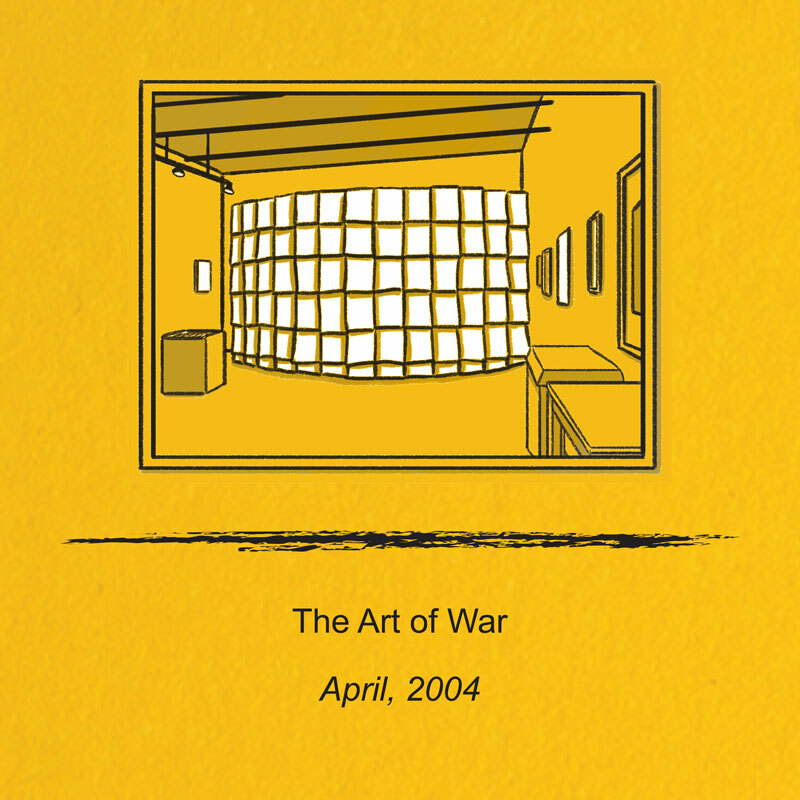 I decided that 10% of all sales from The Art of War should to go towards a nonprofit organization aligned with the topic of the exhibit. Unfortunately, nothing sold! Instead, we passed along door donations to the International Rescue Committee. While well intentioned initially, I fear they have since far outspent our meager contribution with the postage used by keeping me on their mailing list. Perhaps it was the positive turnout or his decision to work on other areas of the building, but our landlord decided to allow us to stay—at least for now. I was a little nervous about the future, but grateful we were able to stay put for the time being. With the first exhibit up and running and a guarantee from the landlord that Altered Esthetics could at least stay through the end of the year, I excitedly got to work on our next exhibit.